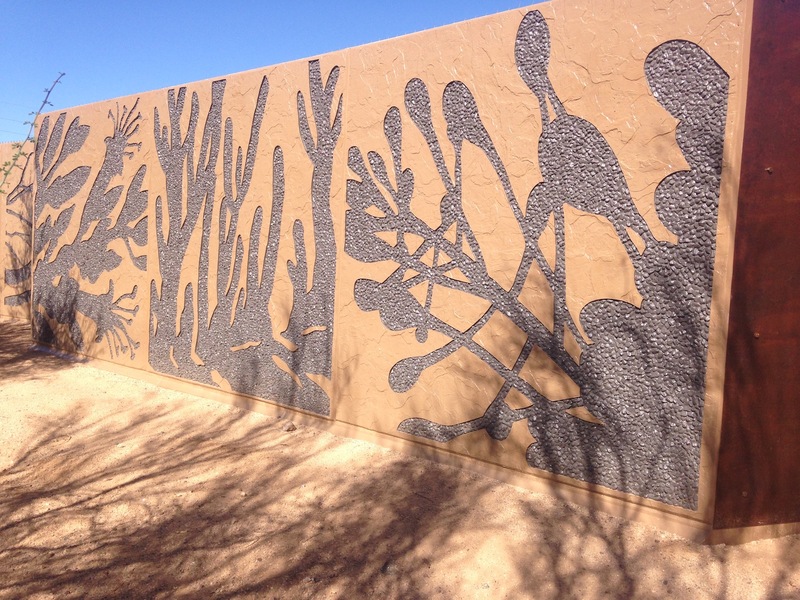 The project consists of nature inspired silhouettes applied to the front face of the 8’ security walls surrounding the Pinnacle Peak Water Reservoir in north Phoenix. By sorting, extracting, editing, and choosing from desert plant shadows, Nina and Heidi developed simple natural graphics to apply to the reservoir wall. An extremely long wall is softened with natural imagery in silhouette form, contrasting these patterns with repeated panels of rusted metal for textural variety. Shadows patterns of desert plants and trees seem to fall across the wall, but are in fact embedded into the design of the wall through the use of form liners. 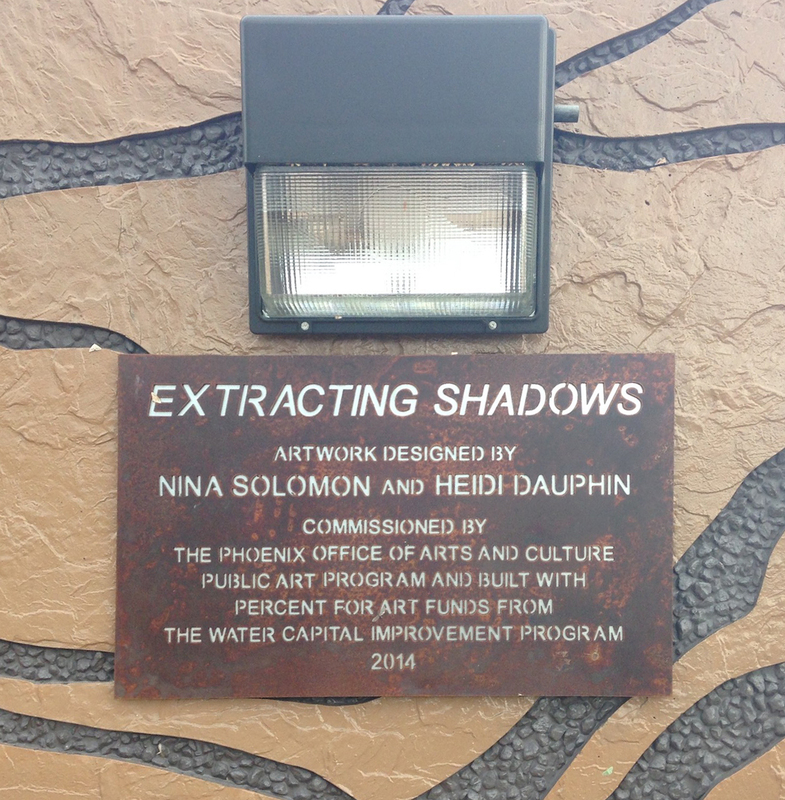 The large shadow patterns are viewed from the street 50-90 feet away. 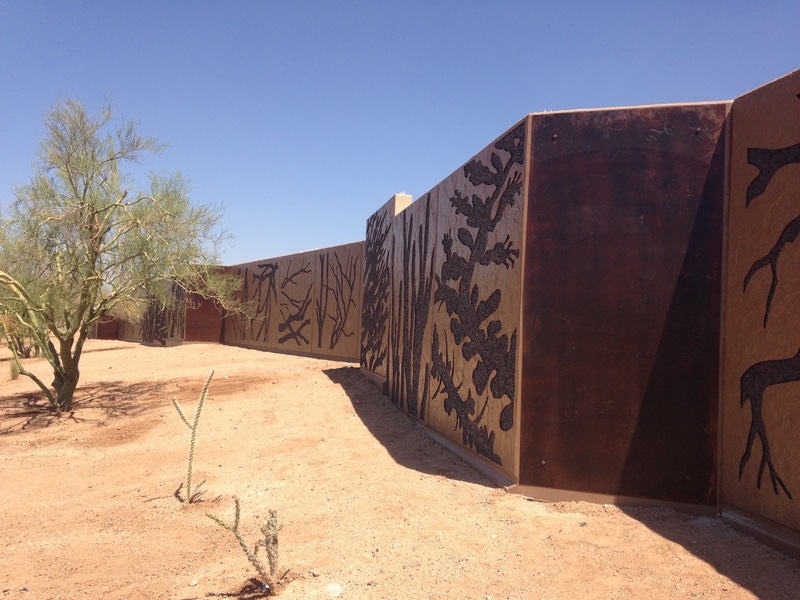 There are two gates on the property created with the same imagery laser cut from rusted metal panels. Materials: Poured in place concrete wall with form liners, Metal details.